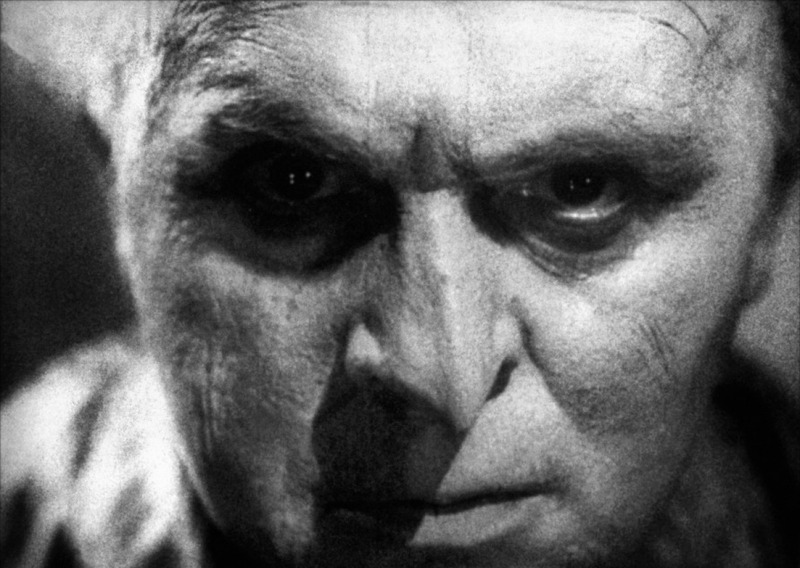 Blu-Ray Review | "Dr. Mabuse, The Gambler"
Fritz Lang's gargantuan crime drama, Dr. Mabuse, The Gambler, clocks in at a whopping 270 minutes, which may seem like overkill given that it's not a serial like The Spiders or an epic legend like Die Nibelungen, but it remains a fascinating exercise in pure entertainment. Lang is clearly having a blast here, even if he tends to get a little sidetracked in the myriad subplots. 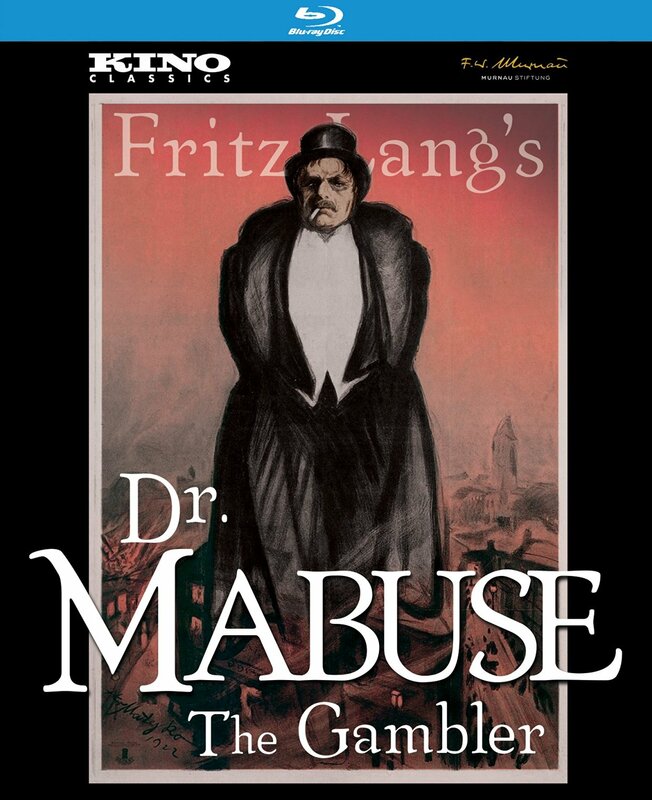 The story of Dr. Mabuse is great fun, chronicling the evil deeds of a mad underworld kingpin whose powers of persuasion and mastery of disguise lead him to take over the city's gambling dens and cheat players out of thousands. Eventually this leads to him attempting to control world stock markets, which raises the eyebrows of a local prosecutor, who sets out to track down the mysterious criminal, leading to a dangerous game of cat-and-mouse in the dark underbelly of Weimar-era Berlin. Lang subtitled the two halves of the film with A Portrait of the Age" and "A Play About People of Our Time," and indeed, the film attempts to pull back the curtain on the societal rot at the heart of the Weimar Republic (which would fall to the Nazis a decade later). In Lang's Berlin, everything exists in the shadows. That which does not exist in the shadows is controlled from the shadows. These are themes Lang would return to throughout his career, from Metropolis to M to The Big Heat, and the play out on a grand scale here. 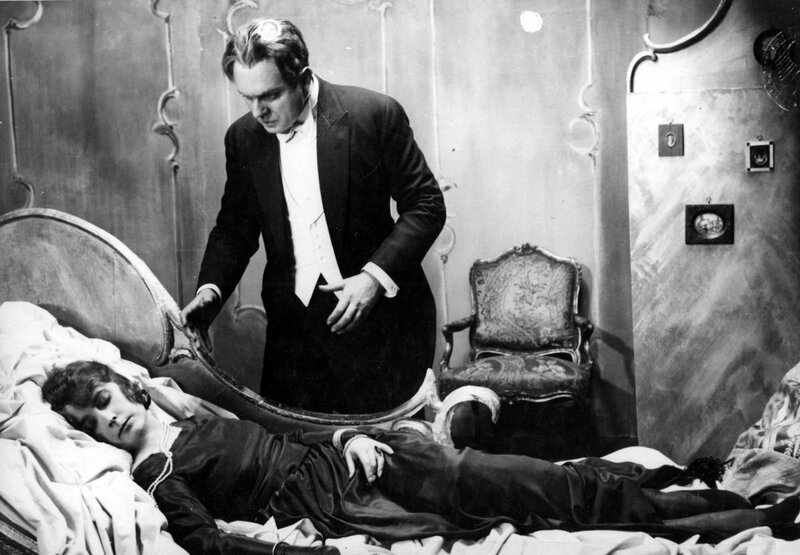 While Lang would later streamline the ideas put forth here in the film's superior 1933 sequel, The Testament of Dr. Mabuse, his original film isn't without its pleasures. At four and a half hours long, it's a bit unwieldy and often unfocused, especially in its second half. But it's hard to deny Lang's mastery of framing and structure. It may be less visually inventive that some of his other films of the decade (it came merely a year after Destiny, and two years before Die Nibelungen), but his use of shadow and space still features elements of Expressionist ideas, even as Lang levels a pointed critique at the movement at the end of the film's first half. Ironically some of the sets used in early scenes of the film even look like they were lifted directly from the set of Robert Weine's expressionist masterpiece, The Cabinet of Dr. Caligari. Even still, Lang managed to create one of the screen's most indelible villains in the form of Dr. Mabuse (are there any eyebrows in all of cinema as expressive of those of Rudolf Klein-Rogge?). 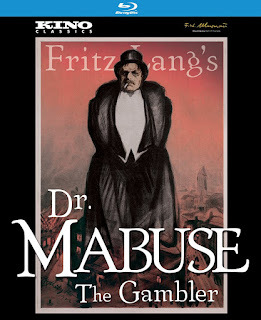 His presence helps make Dr. Mabuse, The Gambler one of Lang's most purely entertaining films, and it moves along at an often breakneck pace in spite of its bloated run time. It may not have invented the crime drama or the police procedural, but it certainly helped solidify its structure and form, molding the genre as we know it today. Available on Blu-Ray and DVD from Kino Lorber on September 13.